Spectre’s Fuel Pressure Gauge with inline fitting is designed to give you an easy to read fuel gauge that fits 3/8 inch fuel lines. 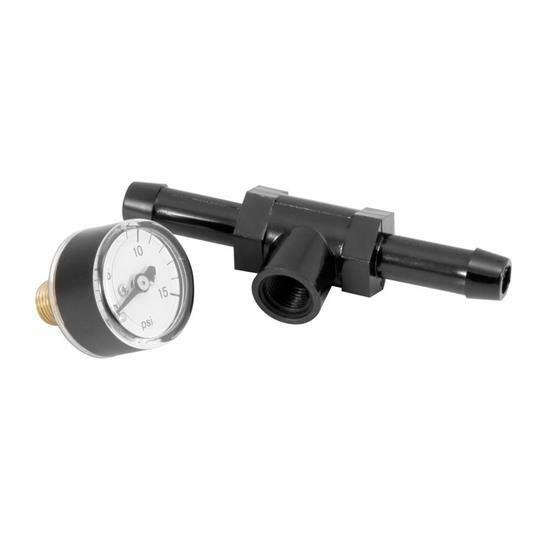 Specifically designed for carbureted engines, this fuel pressure gauge is not for use with fuel injection. A 3/8 inline adapter and a 0-15 PSI screw-in fuel gauge are included.